OpKey Web contains a self descriptive user interface so that even a new user can easily interact with UI contents. After successful creation of your OpKey Web account, user need to login to his/her registered OpKey Domain (Server URL) and select project upon which you want to start working. 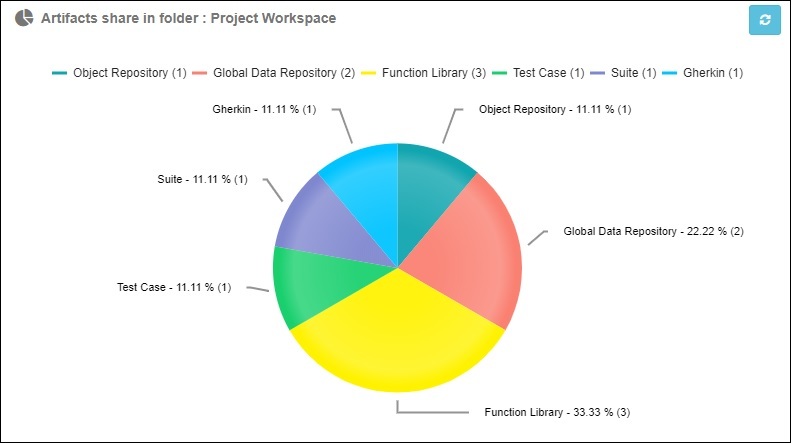 The landing home page of OpKey Web contains a Dashboad page which contains Project Workspace, Toolbar and Execution Result. Existing Files folder containing different artifact folders will be visible only when you select CrestShop Sample Project – Team. 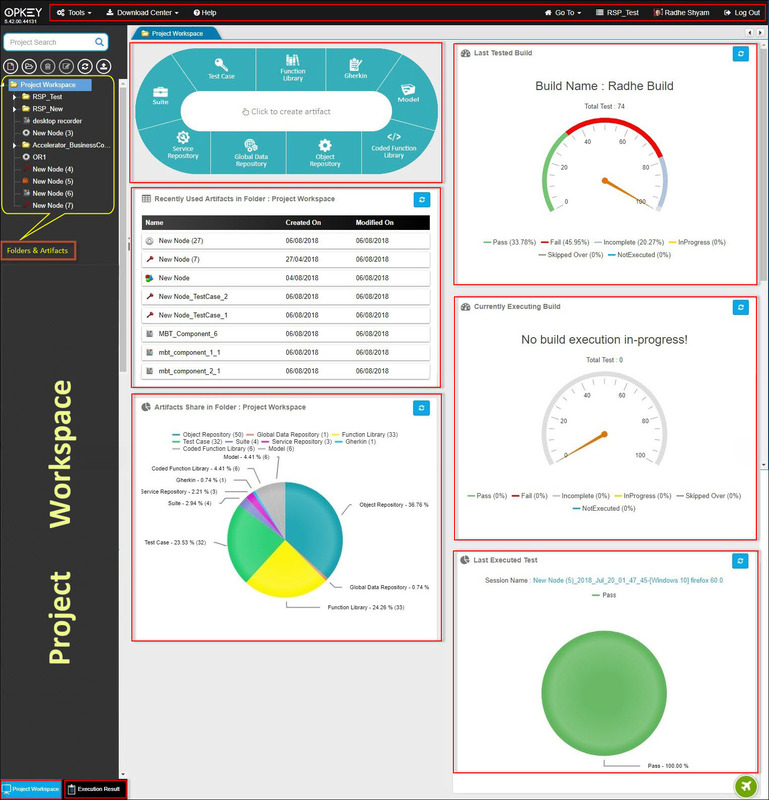 Project Workspace includes entire content related to your project like Folders, Artifacts & Gauge, displaying on the dashboard page. 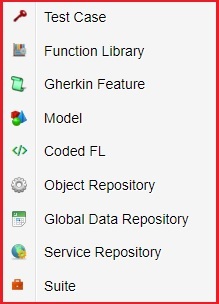 An artifact may be Test Case, Function Library, Gherkin Feature, Model, Coded FL, Object Repository, Global Data Repository, Service Repository or Suite. A Gauge represents a graphical view of share of artifacts for a particular group. It may belong to “Last Executed Build”, “Artifact Share in Folder”, “Currently Executing Build”, or “Last Executed Test”. Toolbar contains various useful Tools like Tools, Download Center, Help, GoTo, Project_Name, User_Name & Logout. Execution Result contains the execution results. The execution builds are displayed as a folder which contains execution sessions. For detailed information about Execution Result, please refer: Execution Result.